Genetic testing and other helpful resources for periodic fever syndromes. 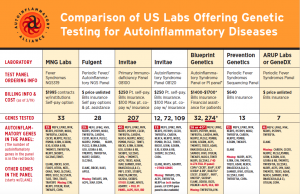 Blueprint Genetics has the most comprehensive genetic testing panel for autoinflammatory diseases. Click here to see that panel. For many of the periodic fever syndromes/autoflammatory diseases, there is genetic testing available to help with diagnosis. 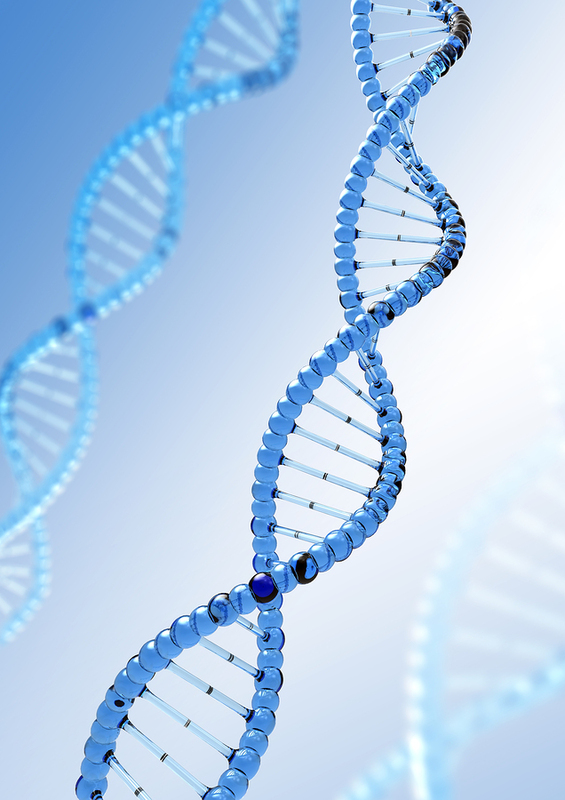 Genetic testing for mutations on genes known to cause autoinflammatory diseases also helps rule out possible syndromes when making a clinical diagnosis. Often insurance will cover the full cost of these tests. Any doctor can order a genetic panel, it does not have to be a geneticist or specialist. Since many of the autoinflammatory diseases share similar symptoms that may include recurrent high fevers, mouth ulcers, swollen lymph nodes, rashes, joint pain and/or swelling and other symptoms, running a genetic panel that tests for multiple syndromes at once is both efficient and cost effective. It also reduces the chances of missing the cause of the symptoms or missing comorbid conditions when an individual patient has genetics for multiple autoinflammatory diseases. Several labs in the U.S. have panels available that include periodic fever syndromes and other immune dysregulation syndromes, such as immune deficiencies and autoimmune conditions. All use next generation DNA sequencing and are very accurate tests. The larger panels by Blueprint Genetics and Invitae, offer the most comprehensive tests for several fever syndromes and other conditions that may have similar symptoms such as recurring fevers, recurring inflammatory symptoms, and/or involve cytokine dysregulation. Some genes included in these panels are related to autoimmune diseases, immune deficiencies, and inflammatory bowel diseases which can all have symptoms similar to autoinflammatory syndromes. 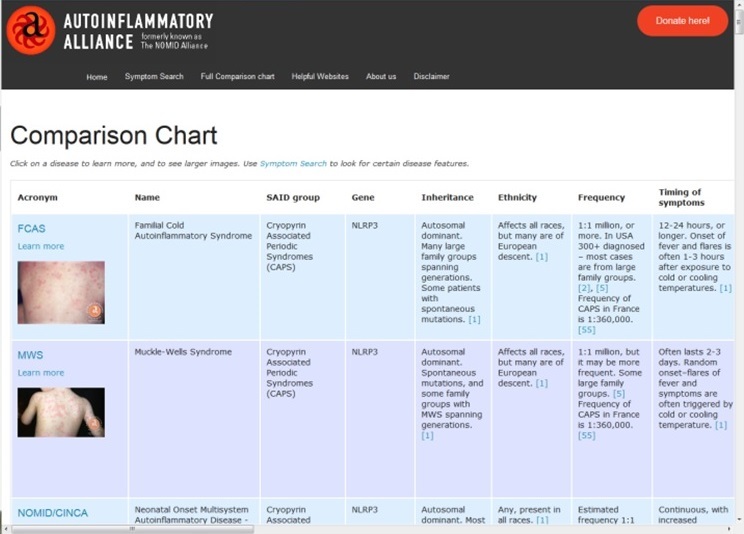 Edited and Co-authored by Autoinflammatory Alliance President Karen Durrant, RN BSN and leading experts on autoinflammatory diseases, this free online database describes the notable symptoms of currently known autoinflammatory syndromes. This database has become a highly respected and important diagnostic tool for doctors around the world. Since these diseases can be very similar and have overlapping symptoms, the chart can help narrow down which SAIDs to consider for a patient and can help guide further testing. Click here for the autoinflammatory online database. Click here for tips on using the autoinflammatory database. This diagnostic questionnaire by the EUROFEVER project is a quick quiz to help determine if CAPS, TRAPS, HIDS and FMF are possible in a patient based on symptoms. You can search this registry to find genetic testing available around the world here. To find a doctor experienced with fever syndromes, contact the Autoinflammatory Alliance here. Blueprint genetics produced a series of informational webinars in their Blueprint Academy series that you can watch to learn more about genetics. The 10/25/18 webinar Utility of genetic testing and application to immune-related disorders , a collaboration between the Autoinflammatory Alliance and Blueprint Genetics, features examples of autoinflammatory diseases. This kit put out by the Global Genes Project has everything you need to navigate the medical system when trying to find a diagnosis for any rare condition. It includes information on staying organized, how to talk to doctors, how to get your medical records, and much more.